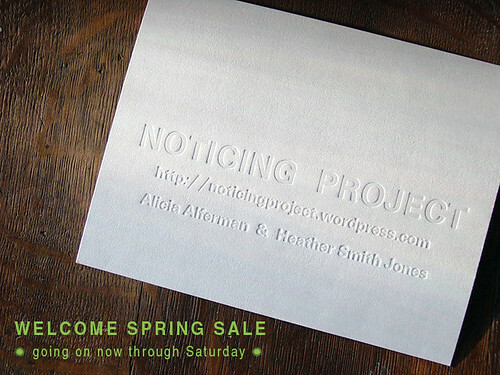 OUR * WELCOME SPRING SALE * is going on now through SATURDAY, MARCH 22 at 10pm. CST. It will be the last opportunity to get the "red ribbon selections", diptychs 1.10.08 and 1.14.08. At the end of the sale, we will remove these items from the shop. We've marked our sale prices at nearly half of the original price, just because we're excited for spring and we like you so much! We hope you'll celebrate spring with us! !